Chronic postsurgical pain (CPSP) has lately become a neglected phenomenon. However, in recent years, investigations of the possible risk factors (type of surgery, preoperative pain, acute postoperative pain, and psychological and genetic factors) have also gained as much importance as the clinical problem. CPSP is not only observed following major surgery, but also following minor surgical procedures, such as hernia and vasectomy. Definitive data regarding the incidence of CPSP have not been obtained yet, since it is difficult to develop standard methods to resolve this difficult and complicated clinical picture. Many different medications, such as gabapentin, ketamine, venlafaxine, lidocaine, tramadol, and steroids have been tested in addition to multimodal analgesic techniques for the management of CPSP. Hence, preventive analgesia is a broader application of preemptive analgesia that includes any preoperative analgesic regimen able to control the sensitivity induced by pain. 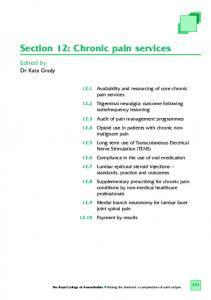 Key words: Chronic pain; postoperative analgesia; preventive analgesia. Cerrahi sonrası kronik ağrı (CSKA) son zamanlara dek görmezden gelinen bir fenomendi. Ancak son yıllarda sorunun klinik önemi kadar olası risk faktörleri de (type of surgery, preoperative pain, acute postoperative pain, psychologic and genetic factors) önemle incelenmeye başlanmıştır. CSKA sadece majör cerrahi girişimlerden sonra değil aynı zamanda herni ve vazektomi gibi minör cerrahi girişimlerden sonra da görülebilmektedir. CSKA insidansı ile ilgili kesin verilere henüz ulaşılamamıştır. Çünkü bu zor ve karmaşık klinik tablonun çözümünde standart yöntemler geliştirmek güçtür. CSKA tedavisinde multimodal analjezik teknikler kadar birçok farklı ilaç da (gabapentin, ketamine, venlafaksin, lidokain, tramadol, steroidler v.d.) denenmektedir. Bu nedenle, koruyucu analjezi ağrıyla uyarılan duyarlılaşmayı kontrol edebilen herhangi bir ameliyat öncesi analjezik rejimi içeren premptif analjezinin daha geniş bir uygulamasıdır. Anahtar sözcükler: Kronik ağrı; postoperatif analjezi; koruyucu analjezi. Introduction Chronic postsurgical pain (CPSP) is a clinical picture persisting for at least three months following a surgical intervention, where additional particular neuropathic symptoms are observed. The problem may also be defined as a long-term “acute neuropathic pain”. Pain developing consequent to malignancy and chronic infection should not be included in this picture. Besides, some clinical pictures with pain in the preoperative period may not be included in CPSP classification (e.g. post-laminectomy syndrome). The first paper on chronic post-surgical pain (CPSP) was published by Crombie and colleagues ten years ago. Later, many prominent reviews were published on this subject. [2,3] Although CPSP was accepted by surgical disciplines as negligible and “normal” up until recent times, it has now come to be an important clinical, or even social, problem. CPSP may occur following major surgery (amputation, hip replacement), as well as following minor procedures (herniorraphy, vasectomy). While describing CPSP in this review, we will also mention about the clinical importance, mechanisms, risk factors, prevention, and treatment options of this pain. CPSP in detail, some strategies may be developed to decrease its incidence. There are many factors determining the development and incidence of CPSP. The type of surgical operation is the leading factor. For example, development of CPSP reaches up to 85% following operations such as amputation, whereas this rate is less than 1% following cataract surgery, Another factor is the different approach techniques in surgical interventions. There are certain differences between the anterior approach and classical posterolateral approach in thoracotomy procedures regarding the development of CPSP. In the former surgical approach, the incidence of CPSP was observed to be about 31%, while in the latter, this ratio was reported to be approximately 50%. [9,10] Psychosocial causes are the leading risk factors for development of CPSP, as well as surgical causes. Newer and further studies are necessary to study the interaction between CPSP and psychosocial factors. Instruments used in measuring the variables may need to undergo modification in order to suit the specific conditions. Further prospective studies, including preoperative quantitative sensory testing, may reveal the precise contribution of preoperative sensitization to postsurgical pain. decreases the incidence of hyperalgesia and allodinia following surgery. In a meta-analysis on 3261 patients and 66 studies investigating the efficacy of prophylactic analgesia on acute postoperative pain treatment, the efficacy of epidural analgesia, local anesthetic wound infiltration, systemic N-methyl-d-aspartate (NMDA) receptor antagonists, systemic non-steroidal anti-inflammatory drugs (NSAIDs) and systemic opioids in various operations with respect to pain scores, analgesic consumption, time to rescue analgesics, have been investigated. Gabapentin, an anticonvulsant that can produce analgesia by binding to and inhibiting the pre-synaptic voltage-dependent Ca2+ channels, decreases the influx of calcium and hence, inhibits the release of neurotransmitters including glutamate from the primary afferent nerve fibers that synapse on and activate pain-responsive neurons in the spinal cord. the treatment of chronic pain states without CNS (Central Nervous System) effects associated with CB1 receptor activation. Studies on animal models suggest that they act mainly via non-neuronal cells, possibly be inhibition of inflammatory cells in the periphery or the CNS, or via release of beta-endorphin. However, the clinical relevance and mechanism of analgesic action remain uncertain. Conclusions CPSP following surgery is a common entity. However, there is still no standardization in the strategies for prevention and treatment of this complicated clinical problem with respect to technique and organization. Therefore, it would be appropriate to evaluate patients who will undergo surgery, beginning from the surgical decision, and to determine the anesthesia and postoperative pain management initially. The concept of postoperative analgesia should involve both the preoperative and postoperative periods. References 1. Crombie IK, Davies HT, Macrae WA. Cut and thrust: antecedent surgery and trauma among patients attending a chronic pain clinic. Pain 1998;76:167-71. 2. Macrae WA. Chronic pain after surgery. Br J Anaesth 2001;87:88-98. 3. Perkins FM, Kehlet H. Chronic pain as an outcome of surgery. A review of predictive factors. Anesthesiology 2000;93:112333. 4. Health Episode Statistics. 2007 (www.hesonline.nhs.uk). 5. US Department of Health and Human resources. Health US.1996-7 (www.cdc.gov/nchs/hus.htm). 6. Blyth FM, March LM, Cousins MJ. Chronic pain-related disability and use of analgesia and health services in a Sydney community. Med J Aust 2003;179:84-7. 7. Gálvez R, Marsal C, Vidal J, Ruiz M, Rejas J. Cross-sectional evaluation of patient functioning and health-related quality of life in patients with neuropathic pain under standard care conditions. Eur J Pain 2007;11:244-55. 8. Snellingen T, Evans JR, Ravilla T, Foster A. Surgical interventions for age-related cataract. Cochrane Database Syst Rev 2002;(2):CD001323. 9. Hutter J, Miller K, Moritz E. Chronic sequels after thoracoscopic procedures for benign diseases. Eur J Cardiothorac Surg 2000;17:687-90. 10. Obata H, Saito S, Fujita N, Fuse Y, Ishizaki K, Goto F. Epidural block with mepivacaine before surgery reduces long-term post-thoracotomy pain. Can J Anaesth 1999;46:1127-32. 11. Smith DG, Ehde DM, Legro MW, Reiber GE, del Aguila M, Boone DA. Phantom limb, residual limb, and back pain after lower extremity amputations. 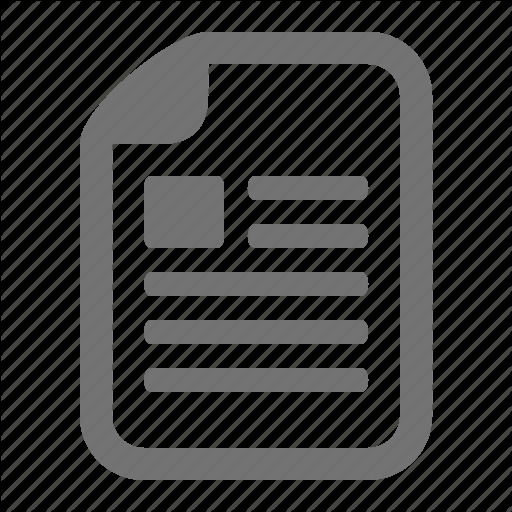 Clin Orthop Relat Res 1999;(361):29-38. 12. Kehlet H, Jensen TS, Woolf CJ. Persistent postsurgical pain: risk factors and prevention. Lancet 2006;367:1618-25. 13. Jung BF, Ahrendt GM, Oaklander AL, Dworkin RH. Neuropathic pain following breast cancer surgery: proposed classification and research update. Pain 2003;104:1-13. 14. Aasvang E, Kehlet H. Chronic postoperative pain: the case of inguinal herniorrhaphy. Br J Anaesth 2005;95:69-76. 15. Rogers ML, Henderson L, Mahajan RP, Duffy JP. Preliminary findings in the neurophysiological assessment of intercostal nerve injury during thoracotomy. Eur J Cardiothorac Surg 2002;21:298-301. 16. Benedetti F, Vighetti S, Ricco C, Amanzio M, Bergamasco L, Casadio C, et al. Neurophysiologic assessment of nerve impairment in posterolateral and muscle-sparing thoracotomy. J Thorac Cardiovasc Surg 1998;115:841-7. 17. Maguire MF, Latter JA, Mahajan R, Beggs FD, Duffy JP. A study exploring the role of intercostal nerve damage in chronic pain after thoracic surgery. Eur J Cardiothorac Surg 2006;29:873-9. 18. Sorkin LS, Xiao WH, Wagner R, Myers RR. Tumour necrosis factor-alpha induces ectopic activity in nociceptive primary afferent fibres. Neuroscience 1997;81:255-62. 19. Watkins LR, Maier SF. Glia: a novel drug discovery target for clinical pain. Nat Rev Drug Discov 2003;2:973-85. 20. 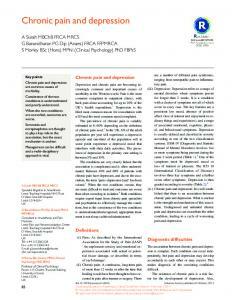 Jensen TS, Baron R. Translation of symptoms and signs into mechanisms in neuropathic pain. Pain 2003;102:1-8. 21. Woolf CJ, Salter MW. Neuronal plasticity: increasing the gain in pain. Science 2000;288:1765-9. 22. Tasmuth T, von Smitten K, Hietanen P, Kataja M, Kalso E. Pain and other symptoms after different treatment modalities of breast cancer. Ann Oncol 1995;6:453-9. 23. Smith WC, Bourne D, Squair J, Phillips DO, Chambers WA. A retrospective cohort study of post mastectomy pain syndrome. Pain 1999;83:91-5. 24. Poobalan AS, Bruce J, King PM, Chambers WA, Krukowski ZH, Smith WC. Chronic pain and quality of life following open inguinal hernia repair. Br J Surg 2001;88:1122-6. 25. Caumo W, Schmidt AP, Schneider CN, Bergmann J, Iwamoto CW, Adamatti LC, et al. Preoperative predictors of moderate to intense acute postoperative pain in patients undergoing abdominal surgery. Acta Anaesthesiol Scand 2002;46:126571. 26. Katz J, Poleshuck EL, Andrus CH, Hogan LA, Jung BF, Kulick DI, et al. Risk factors for acute pain and its persistence following breast cancer surgery. Pain 2005;119:16-25. 27. Hartvigsen J, Christensen K, Frederiksen H, Petersen HC. Genetic and environmental contributions to back pain in old age: a study of 2,108 danish twins aged 70 and older. Spine 2004;29:897-901. 28. Diatchenko L, Slade GD, Nackley AG, Bhalang K, Sigurdsson A, Belfer I, et al. Genetic basis for individual variations in pain perception and the development of a chronic pain condition. Hum Mol Genet 2005;14:135-43. 29. Devor M. Evidence for heritability of pain in patients with traumatic neuropathy. Pain. 2004;108:200-1. 30. Mogil JS, Wilson SG, Bon K, Lee SE, Chung K, Raber P, et al. Heritability of nociception I: responses of 11 inbred mouse strains on 12 measures of nociception. Pain 1999;80:67-82. 31. Mogil JS, Yu L, Basbaum AI. Pain genes? : natural variation and transgenic mutants. Annu Rev Neurosci 2000;23:777-811. 32. Courtney CA, Duffy K, Serpell MG, O’Dwyer PJ. Outcome of patients with severe chronic pain following repair of groin hernia. Br J Surg 2002;89:1310-4. 33. Wright D, Paterson C, Scott N, Hair A, O’Dwyer PJ. Five-year follow-up of patients undergoing laparoscopic or open groin hernia repair: a randomized controlled trial. Ann Surg 2002;235:333-7. Chronic post-surgical pain 34. Poleshuck EL, Katz J, Andrus CH, Hogan LA, Jung BF, Kulick DI, et al. Risk factors for chronic pain following breast cancer surgery: a prospective study. J Pain 2006;7:626-34. 35. Nikolajsen L, Brandsborg B, Lucht U, Jensen TS, Kehlet H. Chronic pain following total hip arthroplasty: a nationwide questionnaire study. Acta Anaesthesiol Scand 2006;50:495500. 36. Stubhaug A, Breivik H, Eide PK, Kreunen M, Foss A. Mapping of punctuate hyperalgesia around a surgical incision demonstrates that ketamine is a powerful suppressor of central sensitization to pain following surgery. Acta Anaesthesiol Scand 1997;41:1124-32. 37. De Kock M, Lavand’homme P, Waterloos H. ‘Balanced analgesia’ in the perioperative period: is there a place for ketamine? Pain. 2001;92:373-80. 38. Katz J, Cohen L. Preventive analgesia is associated with reduced pain disability 3 weeks but not 6 months after major gynecologic surgery by laparotomy. Anesthesiology 2004;101:169-74. 39. Page B, Paterson C, Young D, O’Dwyer PJ. Pain from primary inguinal hernia and the effect of repair on pain. Br J Surg 2002;89:1315-8. 40. Nikolajsen L, Ilkjaer S, Krøner K, Christensen JH, Jensen TS. The influence of preamputation pain on postamputation stump and phantom pain. Pain 1997;72:393-405. 41. Keller SM, Carp NZ, Levy MN, Rosen SM. Chronic post thoracotomy pain. J Cardiovasc Surg (Torino) 1994;35(6 Suppl 1):161-4. 42. Krøner K, Knudsen UB, Lundby L, Hvid H. Long-term phantom breast syndrome after mastectomy. Clin J Pain 1992;8:34650. 43. Peters ML, Sommer M, de Rijke JM, Kessels F, Heineman E, Patijn J, et al. Somatic and psychologic predictors of longterm unfavorable outcome after surgical intervention. Ann Surg 2007;245:487-94. 44. Wallace MS, Wallace AM, Lee J, Dobke MK. Pain after breast surgery: a survey of 282 women. Pain 1996;66:195-205. 45. Callesen T, Kehlet H. Postherniorrhaphy pain. Anesthesiology 1997;87:1219-30. 46. Stiff G, Rhodes M, Kelly A, Telford K, Armstrong CP, Rees BI. Long-term pain: less common after laparoscopic than open cholecystectomy. Br J Surg 1994;81:1368-70. 47. Brandsborg B, Nikolajsen L, Hansen CT, Kehlet H, Jensen TS. Risk factors for chronic pain after hysterectomy: a nationwide questionnaire and database study. Anesthesiology 2007;106:1003-12. 48. Tasmuth T, Blomqvist C, Kalso E. Chronic post-treatment symptoms in patients with breast cancer operated in different surgical units. Eur J Surg Oncol 1999;25:38-43. 49. Fassoulaki A, Melemeni A, Paraskeva A, Siafaka I, Sarantopoulos C. Postoperative pain and analgesic requirements after anesthesia with sevoflurane, desflurane or propofol. Anesth Analg 2008;107:1715-9. 50. Nikolajsen L, Sørensen HC, Jensen TS, Kehlet H. Chronic pain following Caesarean section. Acta Anaesthesiol Scand 2004;48:111-6. 51. Katz J, Jackson M, Kavanagh BP, Sandler AN. Acute pain after thoracic surgery predicts long-term post-thoracotomy pain. Clin J Pain 1996;12:50-5. 52. Tasmuth T, Estlanderb AM, Kalso E. Effect of present pain and mood on the memory of past postoperative pain in women treated surgically for breast cancer. Pain 1996;68:343-7. 53. Hanley MA, Jensen MP, Ehde DM, Hoffman AJ, Patterson DR, Robinson LR. Psychosocial predictors of long-term adjustment to lower-limb amputation and phantom limb pain. Disabil Rehabil 2004;26:882-93. 54. Fitzgibbons RJ Jr, Giobbie-Hurder A, Gibbs JO, Dunlop DD, Reda DJ, McCarthy M Jr, et al. Watchful waiting vs repair of inguinal hernia in minimally symptomatic men: a randomized clinical trial. JAMA 2006;295:285-92. 55. Kissin I. Preemptive analgesia. Anesthesiology 2000;93:113843. 56. Wilder-Smith OH. Pre-emptive analgesia and surgical pain. Prog Brain Res 2000;129:505-24. 57. Ong CK, Lirk P, Seymour RA, Jenkins BJ. The efficacy of preemptive analgesia for acute postoperative pain management: a meta-analysis. Anesth Analg 2005;100:757-73. 58. Pogatzki-Zahn EM, Zahn PK. From preemptive to preventive analgesia. Curr Opin Anaesthesiol 2006;19:551-5. 59. Brennan TJ, Kehlet H. Preventive analgesia to reduce wound hyperalgesia and persistent postsurgical pain: not an easy path. Anesthesiology 2005;103:681-3. 60. McCartney CJ, Sinha A, Katz J. A qualitative systematic review of the role of N-methyl-D-aspartate receptor antagonists in preventive analgesia. Anesth Analg 2004;98:1385-400. 61. Lavand’homme P, De Kock M, Waterloos H. Intraoperative epidural analgesia combined with ketamine provides effective preventive analgesia in patients undergoing major digestive surgery. Anesthesiology 2005;103:813-20. 62. Møiniche S, Kehlet H, Dahl JB. A qualitative and quantitative systematic review of preemptive analgesia for postoperative pain relief: the role of timing of analgesia. Anesthesiology 2002;96:725-41. 63. Ong CK, Lirk P, Seymour RA, Jenkins BJ. The efficacy of preemptive analgesia for acute postoperative pain management: a meta-analysis. Anesth Analg 2005;100:757-73. 64. Shimoyama M, Shimoyama N, Hori Y. Gabapentin affects glutamatergic excitatory neurotransmission in the rat dorsal horn. Pain 2000;85:405-14. 65. Hurley RW, Cohen SP, Williams KA, Rowlingson AJ, Wu CL. The analgesic effects of perioperative gabapentin on postoperative pain: a meta-analysis. Reg Anesth Pain Med 2006;31:23747. 66. Gilron I, Bailey JM, Tu D, Holden RR, Weaver DF, Houlden RL. Morphine, gabapentin, or their combination for neuropathic pain. N Engl J Med 2005;352:1324-34. 67. Hurley RW, Chatterjea D, Rose Feng M, Taylor CP, Hammond DL. Gabapentin and pregabalin can interact synergistically with naproxen to produce antihyperalgesia. Anesthesiology 2002;97:1263-73. 68. Gottrup H, Juhl G, Kristensen AD, Lai R, Chizh BA, Brown J, et al. Chronic oral gabapentin reduces elements of central sensitization in human experimental hyperalgesia. Anesthesiology 2004;101:1400-8. 69. Donovan-Rodriguez T, Dickenson AH, Urch CE. Gabapentin normalizes spinal neuronal responses that correlate with behavior in a rat model of cancer-induced bone pain. Anesthesiology 2005;102:132-40. 70. Takeda K, Sawamura S, Tamai H, Sekiyama H, Hanaoka K. Role for cyclooxygenase 2 in the development and maintenance of neuropathic pain and spinal glial activation. Anesthesiology 2005;103:837-44. 71. Romundstad L, Breivik H, Roald H, Skolleborg K, Romundstad PR, Stubhaug A. Chronic pain and sensory changes after augmentation mammoplasty: long term effects of preincisional administration of methylprednisolone. Pain 2006;124:92-9. 72. Toth C, Au S. A prospective identification of neuropathic pain in specific chronic polyneuropathy syndromes and response to pharmacological therapy. Pain 2008;138:657-66.